I think of that whenever someone wants to do a story about a journalist, especially me. I’m much better at telling other people’s stories than telling my own. 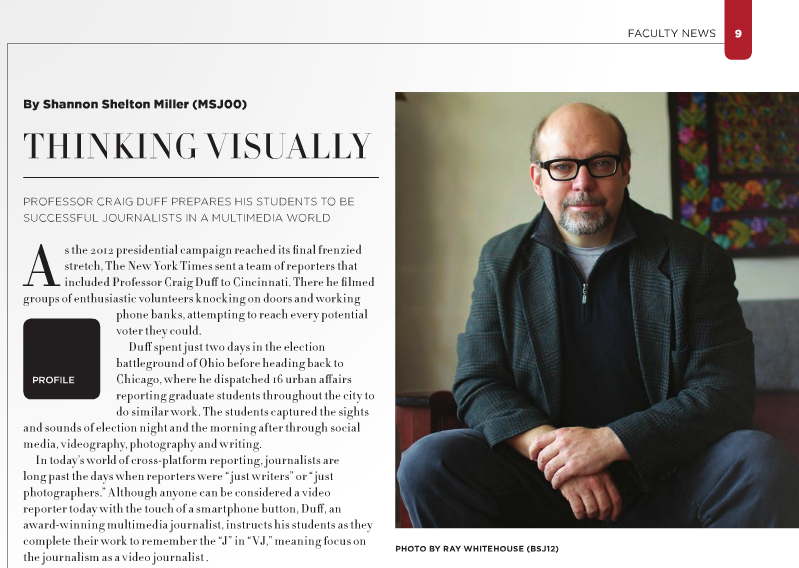 So I was a bit shy when Medill asked to profile me for its quarterly magazine. There’s a very good cover story/profile of NYTimes public editor Margaret Sullivan (a Medill alum). A few pages in, you’ll see yours truly. At least I’m not sweating like Albert Brooks did in his first anchor appearance in that film. What a nice shot of you, Craig.